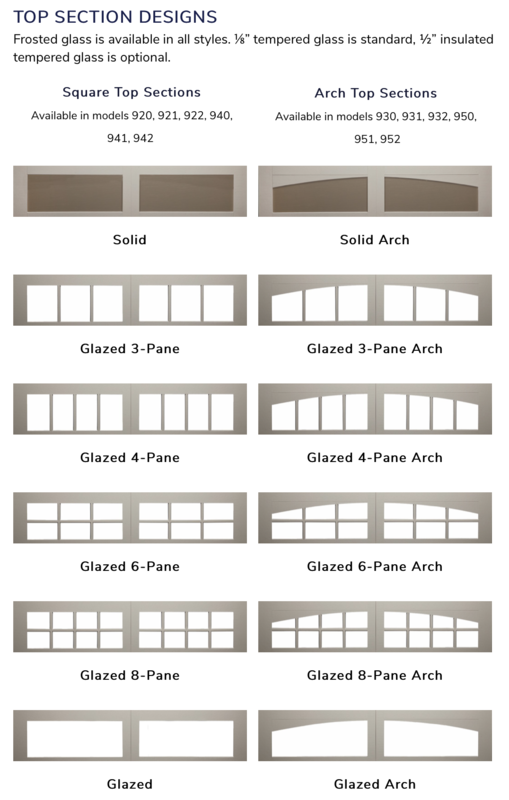 We have a variety of Premium Carriage House Doors that are constructed from galvanized steel with overlay options made of fiberglass or composite materials. 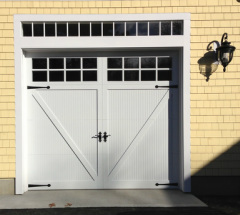 These doors are carefully crafted to bring you the beauty and elegance of the classic carriage house doors that are also practically maintenance free. 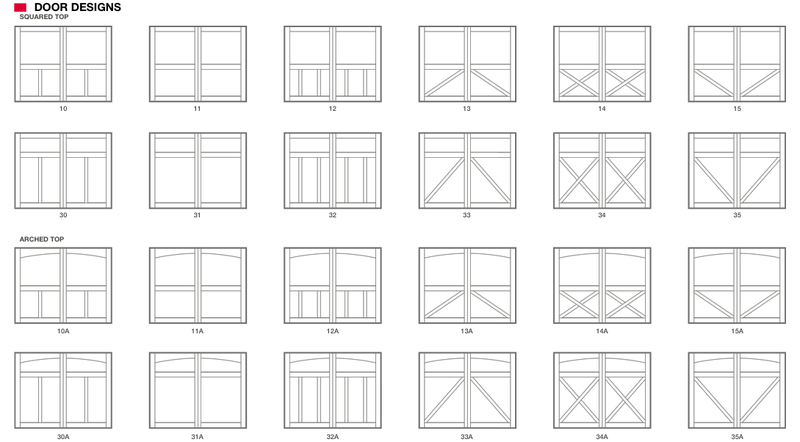 You can keep the door plain as in the picture to the right or we can add decorative handles and hinges to the outside. 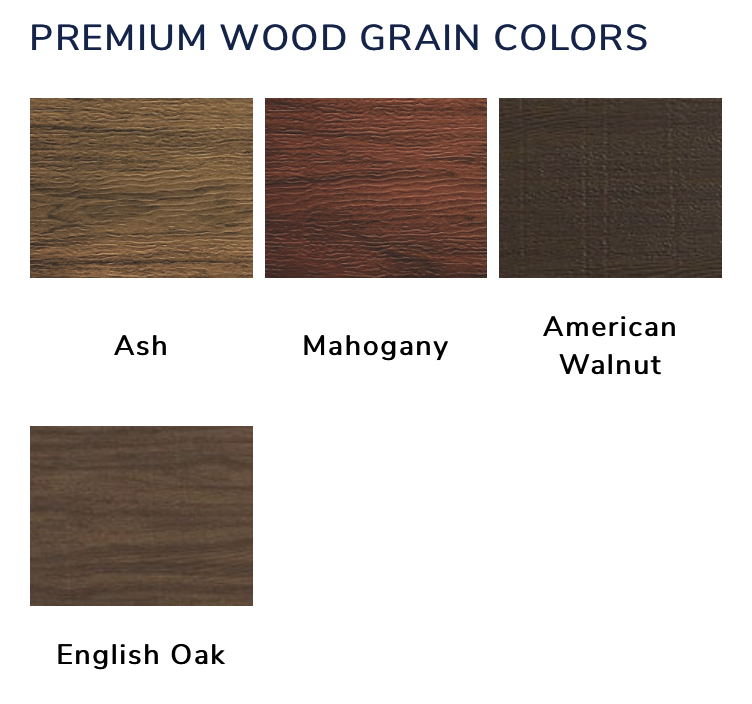 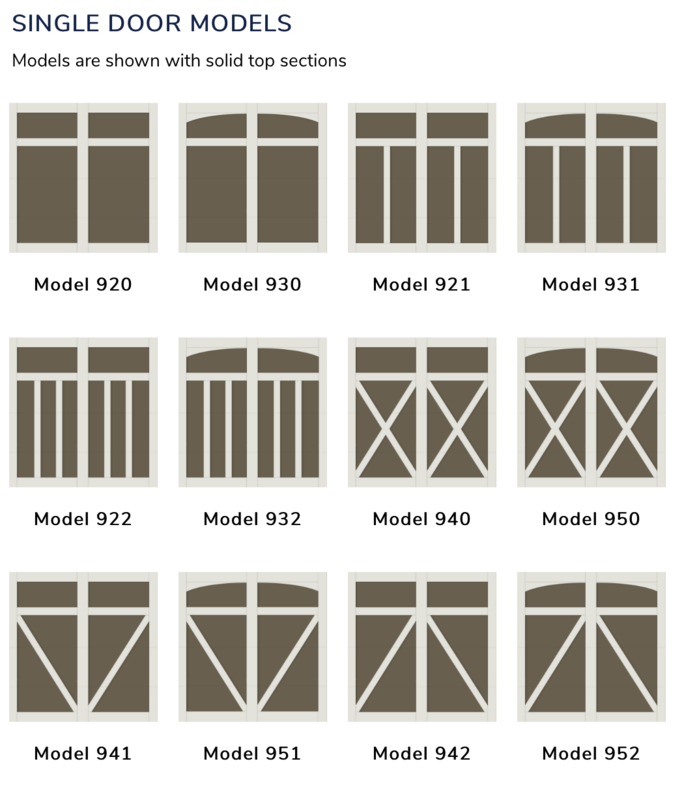 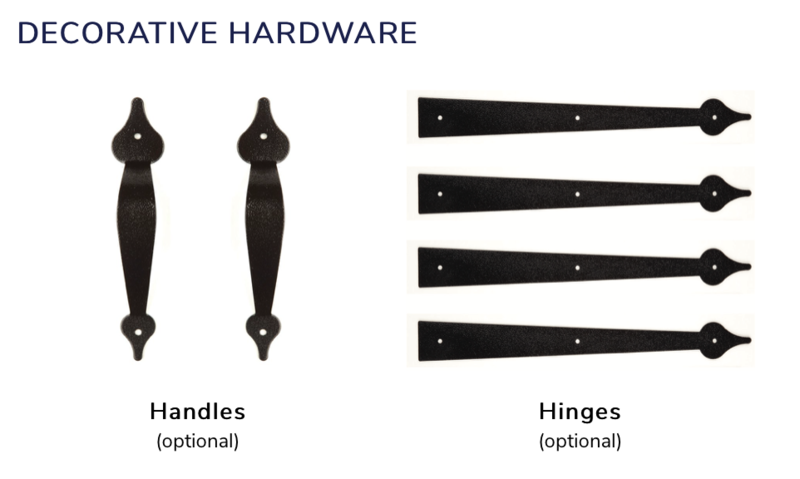 Scroll down to learn more about the three different brands of premium carriage house doors we have to offer. 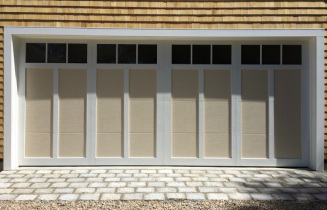 Steel with fiberglass beadboard face and wood grain textured polystyrene overlay accent boards.